Android is the most widely used operating system in the world and there are over 2 billion monthly active devices using Android today. Its widespread use and its fragmented nature make it vulnerable to malicious attacks of the worst kind. Android’s highly fragmented nature and the fact that it deploys an uncountable number of custom ROMs on thousands of phone models makes it a security concern of nightmarish proportions. Lately, Android phones are being increasingly targeted by attacks looking to scam or make a quick buck off the unsuspecting user. Your smartphone is an intimate device that has your most personal information. Google and other device vendors keep their platforms secure and do due diligence for keeping your device safe. But Android developers can only do so much! Protecting your device from viruses, malware, and other threats is primarily your responsibility, and there are several things you can do to stay safe and keep your phone out of harm’s way. Keep the phone OS updated. Don’t side-load unverified third-party APKs or hacked apps. Don’t install apps that you don’t need. 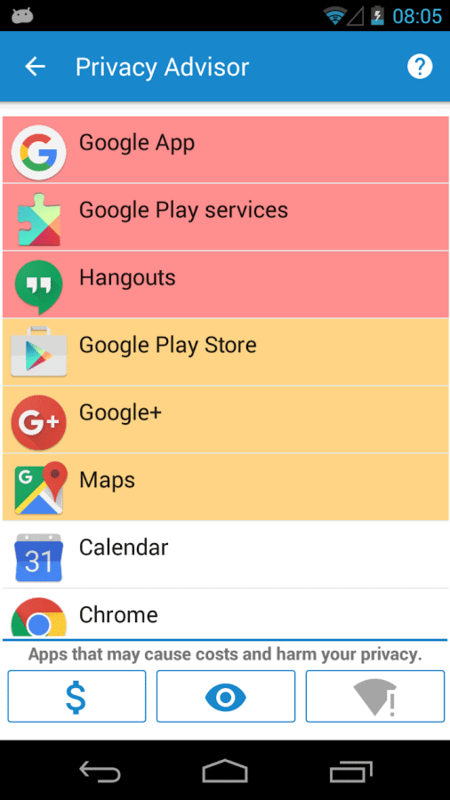 Take a moment to understand App Permissions on Android and read them before allowing access. Never keep the bootloader unlocked. Backup your Android device regularly. The practice of using a trusted security app is easy to state but not as easy to implement. A search for Antivirus on the Play Store lists hundreds of applications. How do you choose an app that provides good security, and avoid the ones that just provides a false sense of security? This list compiles apps that are the best security apps for Android. AV-Comparatives and AV-Test, two of the best independent antivirus security labs, periodically release the results of their security tests done on security software across all platforms including mobile. These tests are conducted with hundreds of samples of the latest malware affecting Android devices and the performance of the apps against these threats is noted to generate this data. It is the best way to determine which Android apps perform the best and help us get together this list of best Android security apps. Since this data reflects the ability of an antivirus app to actually protect the user from malware threats, the apps highlighted by these reports from the baseline criteria for this list. In addition to this, we look at the apps from a user’s perspective – pricing, features, performance and other distinguishing qualities of the app that the users would find both useful and beneficial. AhnLab V3 Mobile Security has a proven track record of providing optimized and comprehensive protection for Android devices. Running on the powerful V3 Mobile AV engine, AhnLab V3 Mobile Security 3.1 is capable of detecting and blocking mobile malware and viruses with great accuracy and consistency. 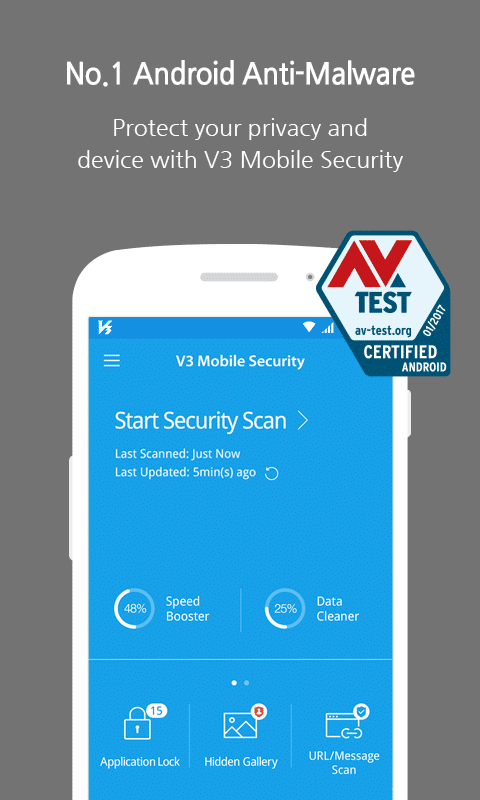 With a top ranking by both AV Test and AV-Comparatives, AhnLab V3 Mobile Security app is one of the fastest and best antivirus apps available today. With an overall score of 100% in the AV-Test report, this app ranked high not just on protection, but on usability too. This app has the distinction of earning the AV-Test certification 24 consecutive times since 2013. AhnLab V3 Mobile Security monitors your phone in real-time by scanning all downloads before and after installation. It scans all files with access permissions and identifies and removes potentially unwanted applications. The app comes with standard security features of detecting and eliminating malware, privacy cleaner, which deletes application cache data, phone booster that speeds up your phone, privacy filter, and app lock to protect your privacy. It also has the ability to detect malware and phishing URLs, thus protecting you from malicious websites. AhnLab V3 Mobile Security app rates high on AV-Test’s rankings because of its usability; the impact of the app on the device is mostly positive. The app does not impact battery life of your device unlike many others of its ilk, nor does the app slow down the performance of the device. One of the best features of this app is that it acts as a privacy advisor and lets you know what your installed app can do with the permissions that you grant. For instance, it lets you know whether the app is tracking sensitive information, location tracking or accessing your contacts so you can make an informed decision when you install an app. 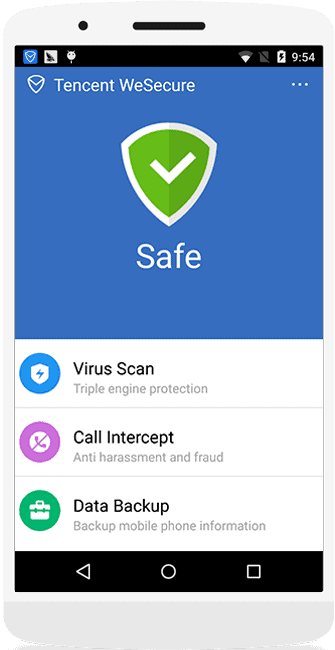 Pricing: V3 Mobile Security is touted as the best free antivirus for Android and is available for download on Play Store. It offers in-app purchases for added features. The Antiy AVL app uses the AVL SDK antivirus engine to provide protection for your Android device. This is also a top-ranking app in the AV-Test list as well as the AV-Comparatives list because of its functionalities and accuracy in detecting malware and other unwanted files. The Antiy AVL app has well-designed algorithms that can scan your device with great speed and precision. 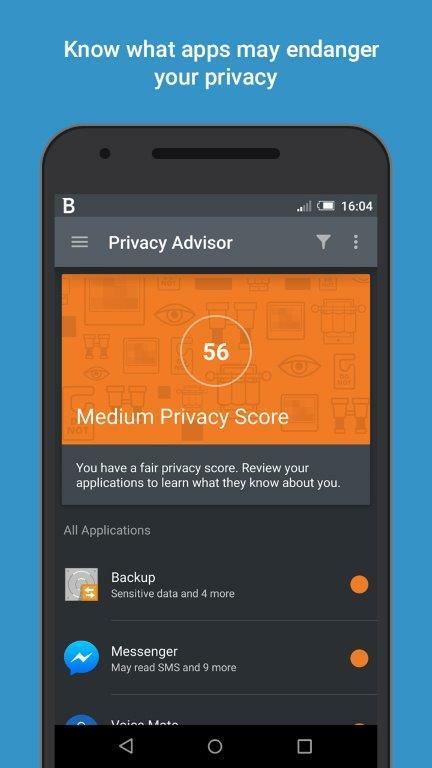 This app has a protection score of 6.0 out of 6.0 in the AV-Test report and detected malware with an accuracy of 100% amongst more than 3000 samples it was run against. It also scored high on usability because its performance did not hamper battery life or the slow down the device in any way. In addition to the standard antivirus detection and elimination features, Antiy AVL has other features such as call blocking, which lets you block calls from unwanted numbers and safe browsing which detects malicious URLs while browsing on your device. This app lacks a crucial Anti-theft feature that allows the user to remotely monitor or wipe out the device in case of theft and parental control for devices belonging to children. AVL Android Antivirus can detect and analyze many different file formats such as APK, SIS, SISX, XAP, and CAB. It can also scan executable files such as DEX, ELF, EPOC, and PE. The app has a strong support system in the Antiy sample capture system where more than 10,000 samples are sorted and analyzed every day via an automatic analysis streamline. Based on this analysis, the app is updated on a 24/7 basis, giving your device protection from thousands of malicious codes. Here’s a brand that needs no introduction in the realm of cybersecurity – Bitdefender. Bitdefender Mobile Security is one of the most trusted smartphone security apps for Android. It is a widely acclaimed and has garnered consistent top rating in the AV-Test and AV-Comparatives reports. The Bitdefender Android security app achieved 100% score in the latest AV-Test and AV-Comparatives report for its accuracy in detecting malware and its usability. Bitdefender has been endorsed by PC Mag as one of the best antivirus mobile apps for two years in a row. The app has earned AV-Test’s best android security product award for two years in a row in 2015 and 2016. Bitdefender has several features in addition to the standard security features such as anti-theft, app-lock and can be used on your Android watch too. Its malware scanner is one of the most accurate in the market; its 100% score is a testament to its accuracy. Bitdefender works in the background while you are surfing the internet, warning you when you click on phishing or malicious links. The app acts like a privacy advisor by letting you know which apps collect what information and warns you if you download an app that could potentially leak your personal information. Bitdefender also tells you when your apps access the internet and download unwanted data on your device without your knowledge. 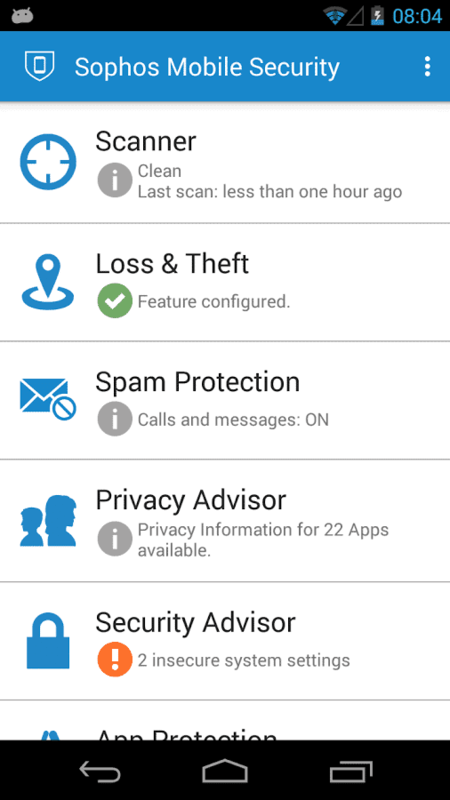 Bitdefender is a great security app for Android with some amazing features. One of the newest features is that the app can scan your email account and let you know if it has been compromised. The app can find out whether your details have been leaked and will tell you if it is time to change your password. Bitdefender has a smart unlock feature that lets you unlock your device in trusted areas or zones. Pricing: Bitdefender Mobile Security and Antivirus can be bought on Play Store for $14.99. However, you always try the 14-day free trial before buying the app. Security Master by Cheetah Master is another great security app for Android devices. It features a unique intelligent diagnosis system that scans your device and comes up with the most intelligent solution to keep your device clean, safe from malware and optimized for good performance. Security Master is on our list because it is both AV-Test and Av-Comparatives certified, scoring 100% in both the tests. It is very user-friendly, offers good functionality and protects your device from malware, spyware, and hackers. 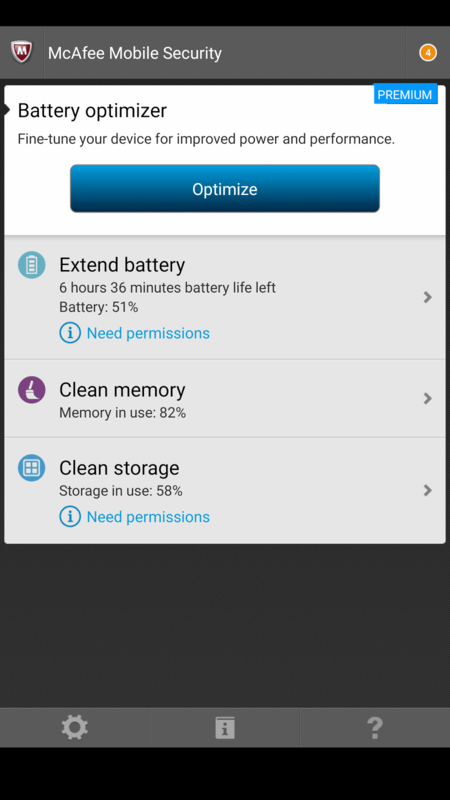 With this app, you can protect your phone and optimize it for better performance. It has a built-in Junk Cleaner and Phone Booster components that help in optimizing your device by deleting unnecessary files and moderating the battery, for longer battery life. An interesting feature of Cheetah Mobile Security Master is the App lock mechanism. It lets you lock specific apps with a pin code, pattern or your fingerprint as well as intruder selfie – which takes a picture of intruders trying to access your apps or unlock the device. The anti-theft feature lets you lock and wipe the phone remotely in case of loss or theft. 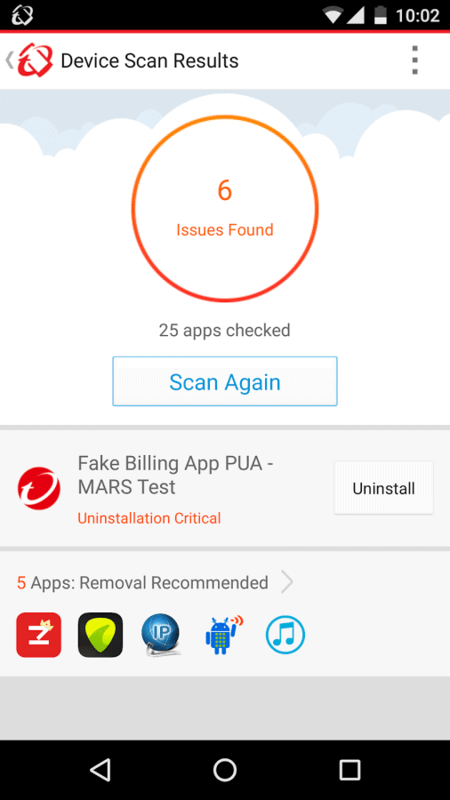 The intelligent diagnosis system used by Cheetah mobile security is a quick method of scanning the device and finding the best solution to the problem. This app is able to suggest the best fix for the problem in an effective way. Your online activities have an extra shield of protection with the SafeConnect VPN, which is an easy-to-use free VPN and proxy service, which extends your protection to online data transmission as well. Pricing: This app is free to download on Play Store but supports in-app purchases. You can subscribe to the Security Master and their plans range from $ 0.99 to $35.99 that lets you use the app ad-free and gives you unlimited SafeConnect VPN daily data usage in more than 15 virtual locations. The pro version is decent, no doubt, but the free version of the app is great for most users. A downside of using the free version of this app is the number of ads they run. If you are annoyed by Ads in general, you can either take up any paid plan or not use this software. It’s worth checking out nonetheless. With G Data Internet Security on your device, you are assured of a safe and secure browsing experience without having to worry about phishing, spying and data theft. This app, like the others on our list, scored a 100% on both AV-Test and AV-Comparatives reports for its excellence in detecting malware. The malware scanner is cloud-connected so it always has an updated database of threats and can detect and immediately purge any malware in your device. This app gives you great protection against phishing and other malware. The advanced scan technology protects your device from even the latest Android viruses and spyware. The app has the anti-theft feature with which you can wipe out the device remotely in case of loss or theft. It scans your apps when you install them and lets you know if you have inadvertently downloaded any data snooping spy apps. The G Data Internet Security app has some really useful security features. It has a configurable parental control system which makes it safe for children when they are using your device. 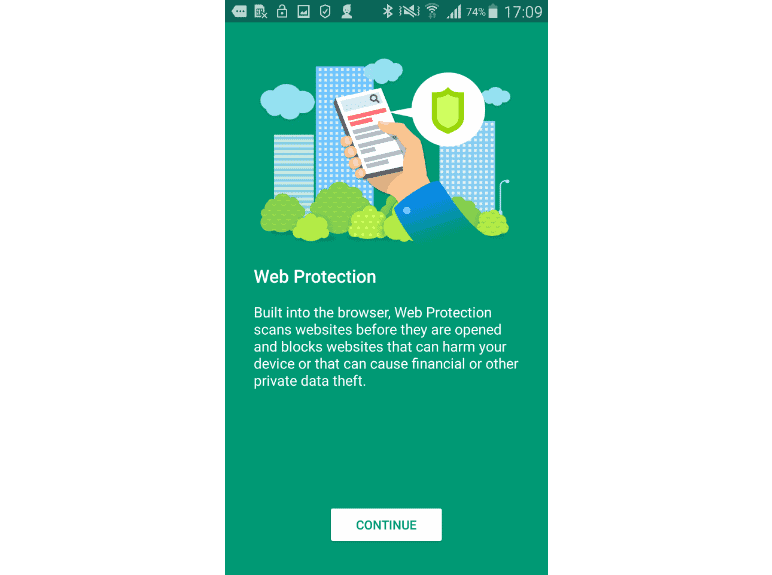 You can configure web protection for safe surfing, lock apps that are unsuitable for children, set a timer to define how long they spend on the device and other such functions. Kaspersky Lab is one yet another well- known security solutions providers in the world today and among one of the best Android security apps. Its security solutions are used by millions of people for both for personal and commercial use. Needless to say, Kaspersky Lab Internet Security ranks very high on AV-Test’s report as well as AV-Comparatives report and has been deemed to be one of the best android security app. The app has a powerful antivirus engine that scans apps and files automatically and blocks suspicious websites and warns you about dangerous links in your texts and emails. You can keep your personal information hidden from prying eyes with this app and filter out unwanted communication. Kaspersky Lab Internet Security app scores high on usability as it does not impact the device’s performance or battery life negatively. It has a find my phone feature that tracks and finds your stolen or misplaced Android phone. You can turn on an alarm on the phone remotely, even if the phone is on silent mode, and wipe sensitive data from the phone. The premium version of the app protects your device from phishing websites and other online threats while surfing the internet. You can protect your data by hiding sensitive information on your device and control what people can see on your phone. Pricing: The free version of the app is basic and provides rudimentary protection for your device. If you want comprehensive protection, it is best to download the premium version of the app. Priced at $24.95/year. You can use this plan on three devices for one year. So you have 3 of your devices protected for a single subscription or if you want, the subscription fees can be split 3 ways, and it will cost you around $9 for a year. Like Kaspersky, McAfee is one of the better-known security solutions providers for Android. McAfee Mobile Security is a versatile security app has all the standard security features and some more. It lives up to its reputation by offering accurate protection, while boosting your phone’s performance. This Android security app has won many awards for its excellent performance including AV Certified Android Product award in 2017, AV-Comparatives Approved Mobile Product award in 2016 and the Info Security USA Silver Award in 2017. With McAfee, you have features such as anti-malware, virus removal, anti-virus, anti-spyware, Anti-theft, backup and restore data, security lock, and performance optimization. You can lock sensitive apps and hide data away from prying eyes. McAfee Mobile Security comes with a call blocker and SMS filter built into the app with which you can filter out unwanted communication. For some users, this feature is as important as securing their mobile data as it saves them a ton of annoyance every day. McAfee app comes with a phone optimization module that fine tunes the performance of your device. 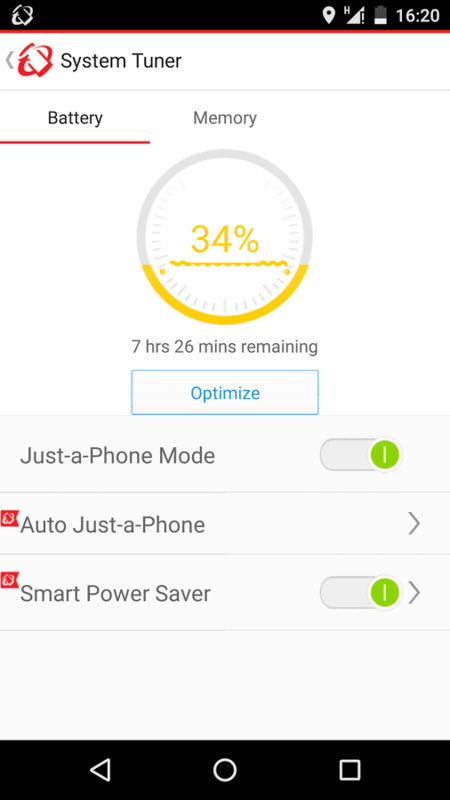 It optimizes your device’s battery usage and frees up memory from unwanted background apps, thus speeding up your device and saving power. The app scans for malicious codes from all sources including SD cards, files, SMS, apps, internet downloads etc. The app provides real-time detection of malware, including ransomware, keeping your device safe from all threats. The safe web browsing and Wi-Fi security features protect your phone from online threats, blocks access to risky websites and keeps you away from unsecured Wi-Fi connections. With this app, you can extend protection to your Android Wear smartwatch. Pricing: There is a free version available to download on Play Store with most of these features. However, the premium version provides better protection and is priced at $29.99 for one device for a year. Sophos Mobile Security is a completely free security solutions app for your Android device that provides comprehensive, real-time protection from viruses, spyware, and other internet threats. Winner of AV-Test’s Best Android Security 2016 and Best Protection 2015 awards, this app has achieved a perfect 100% score on AV-Test’s report for 14 tests in a row starting from September 2014. The app protects your device against malicious malware, blocks websites with risky content provides theft protection, and acts as a security and privacy advisor. The Sophos app is totally free and sans advertisements, making it a pleasure to use on your device. The app uses data from SophosLabs to detect latest malware and viruses. With the privacy advisor, the Sophos app lists all the apps on your device that has access to your personal data and apps that could create costs. As an informed user, the chances of installing a rogue app reduce drastically. The Sophos app doubles up as an authenticator and generates time-based (TOTP, RFC 6238) and counter-based (HOTP, RFC 4226) one-time passwords for multi-factor authentication. For people who use their personal devices for work, there is a managed mode that lets your organization’s IT department monitor the health of your device and ensure protection. Tencent WeSecure’s Security and Antivirus app has achieved a perfect 100% score in both AV-Test and AV-Comparatives list of antivirus apps. It is a small, fast and incredibly accurate app which discovers and eliminates malware from your device. The app optimizes your device by freeing up space by clearing all junk and unwanted files in the background. It performs a deep scan to clean up viruses and malware in all files and apps on the device. You can block unwanted calls and backup your device’s data using this app. It does not have any Anti-theft features or message filters. The app protects your device against online threats by blocking unsafe websites and malicious links. It is a simple ad-free app that does not drain your device’s resources or negatively impact your phone’s performance in any way. TrendMicro Mobile Security safeguards your Android device against ransomware, malware, malicious apps, fraudulent websites, and identity theft. 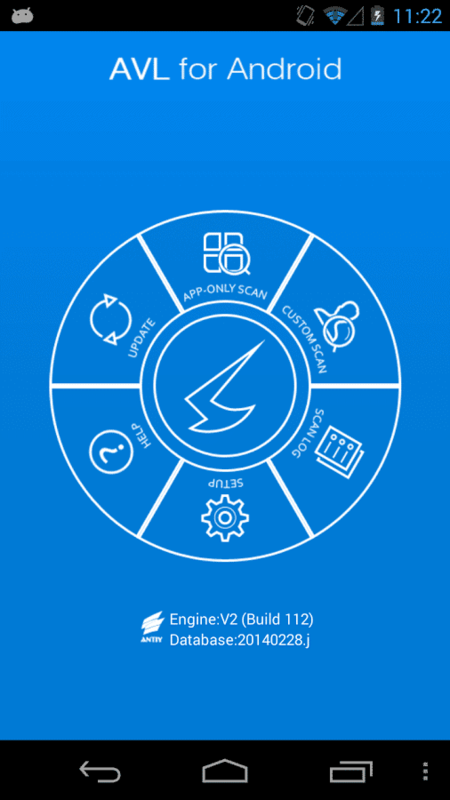 It is a comprehensive security solutions app that optimizes the performance of your device with its app manager that has a system tuner, battery saver, and a memory booster. This app has scored consistently well in the tests conducted by both AV-Test and AV-Comparatives with 99.9% malicious app detection rates. The app has advanced privacy setting that protects your privacy on Facebook and safeguards your children online. It blocks dangerous links in messages and emails, including WhatsApp messages. TrendMicro comes with some “smart” features. There is a smart power saver feature that manages your network connections to use less power and maximize your device’s life. The Wi-Fi checker notifies you when you are on an unsecured Wi-Fi connection and the privacy scanner warns you of apps that have access to your personal information. 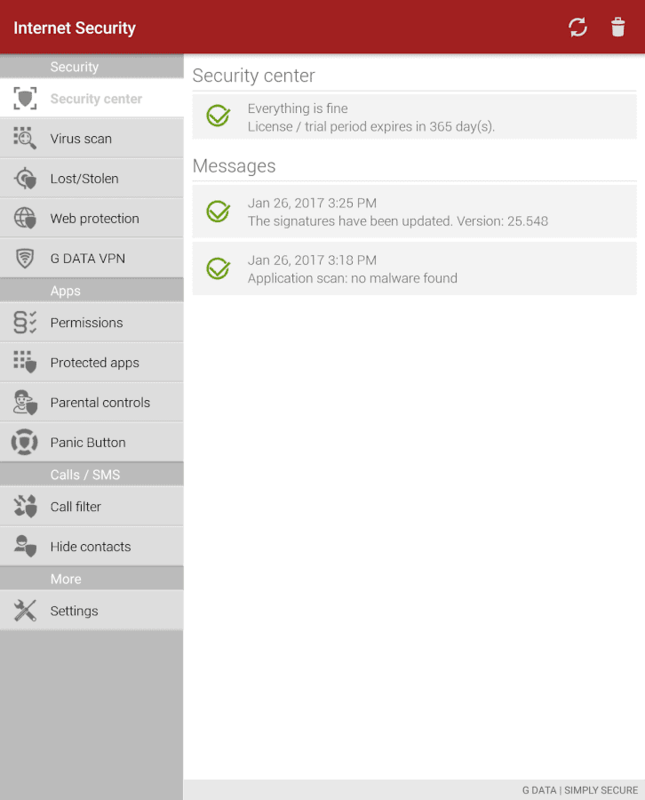 TrendMicro has a unique Just-a-phone feature that automatically kills all non-essential background apps and processes when your phone is low on power. 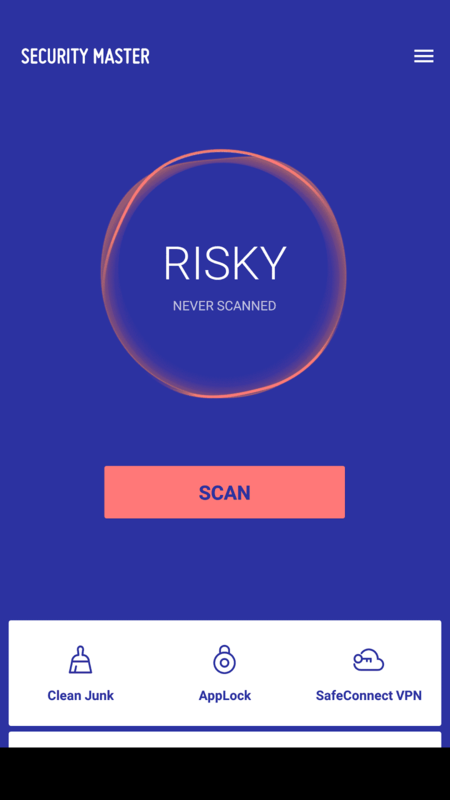 The app pre-scans apps even before you download them on your device from Play Store and warns you of malicious or risky apps. Pricing: The free version of the app has many of the features mentioned above, but for best results, it is better to invest in the premium version. You can even do a 7-day trial before upgrading to the premium version which costs around $34.49 per year. In this list, we have compiled the top ten of the best Android security apps as recommended by AV-Test and AV-Comparatives. Some well-known security apps for Android may be missing from this list for two possible reasons – either they haven’t made the cut in the latest test results or the developers haven’t sent their product to AV-Test and AV-Comparatives for testing. We hope this comprehensive guide can help you choose the best Android antivirus app for your Android device. Let me know in the comments which antivirus app for Android works best for you.